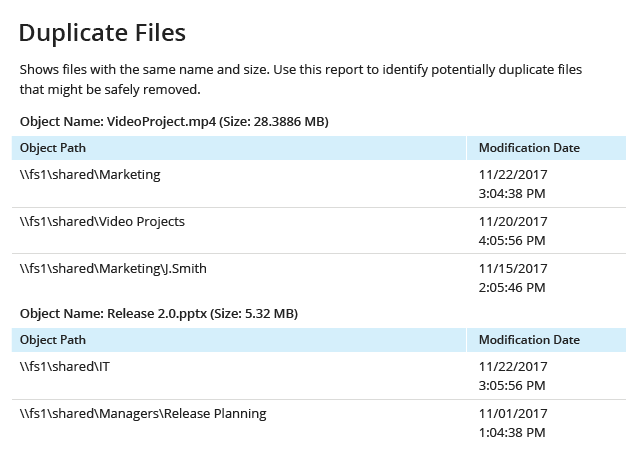 With native tools for auditing Windows file servers, you can spend significant time sifting through cryptic logs and still fail to find important data, like the original and new values after a change to permissions. 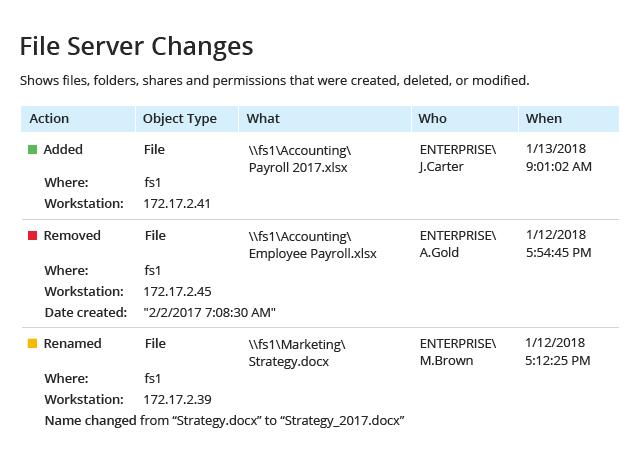 Netwrix Auditor helps you enable continuous Windows file server change auditing by providing detailed information on critical changes made to files and folders, shares, permissions, and more, so you can remediate unwanted modifications before they cause real damage. 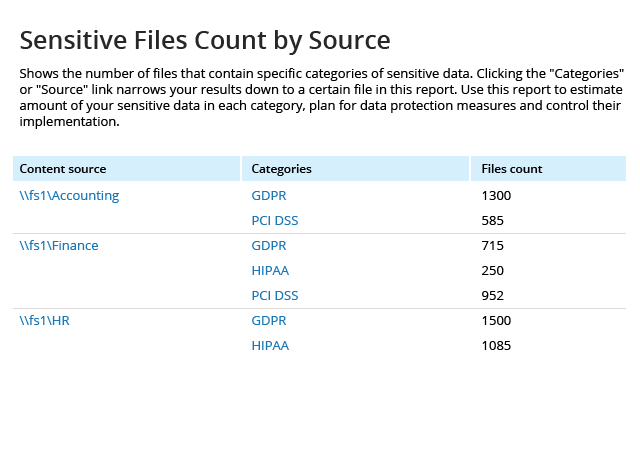 Native file access auditing is noisy, generating so many events that it's hard to dig out the truly valuable information. 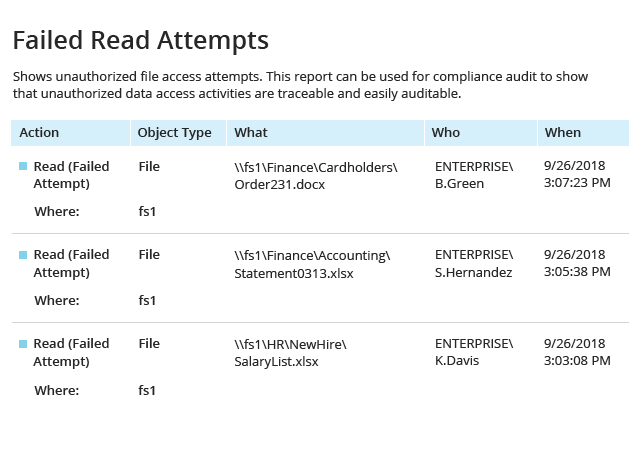 Netwrix Auditor file access monitoring software empowers you to gain control over user activity by monitoring ready-to-use reports on access events so you can quickly detect suspicious access to protected folders. To ensure that your critical documents are secure, it’s important to regularly check who has access to them. 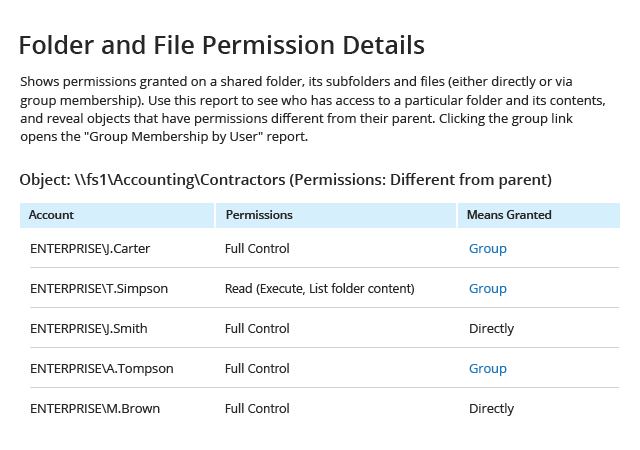 With Netwrix Auditor, you can quickly review effective permissions to files and folders and ensure they are in line with internal policies and the least-privilege principle. In order to protect your PII, PHI, PCI and IP, you need to know where it’s located, who has access to it and every user action that might threaten it. 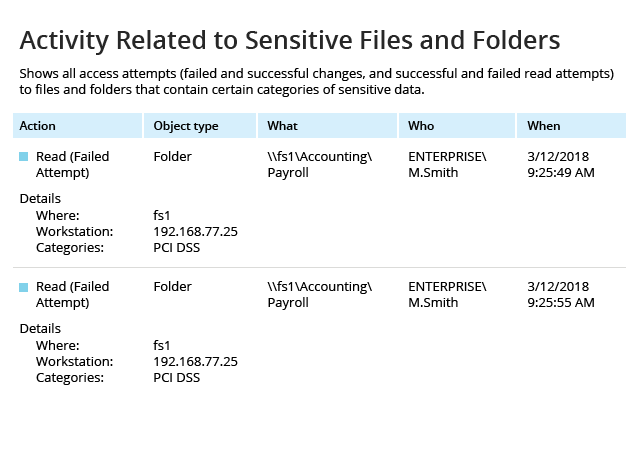 Netwrix Auditor’s Data Discovery and Classification identifies the types of sensitive information you store, details its location and shows whether this data is overexposed. 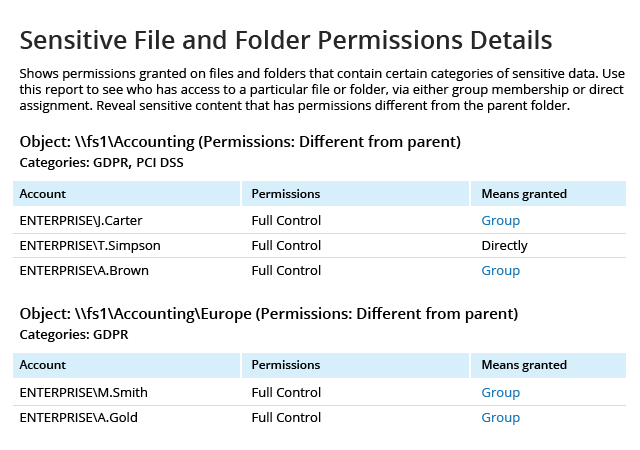 Plus, you can quickly check who has access to critical files and folders and get the full context around activity with them. Regularly review this information to make sure nothing endangers the security of your sensitive data. Not every file server monitoring tool enables you to effectively analyze data structure and usage patterns. 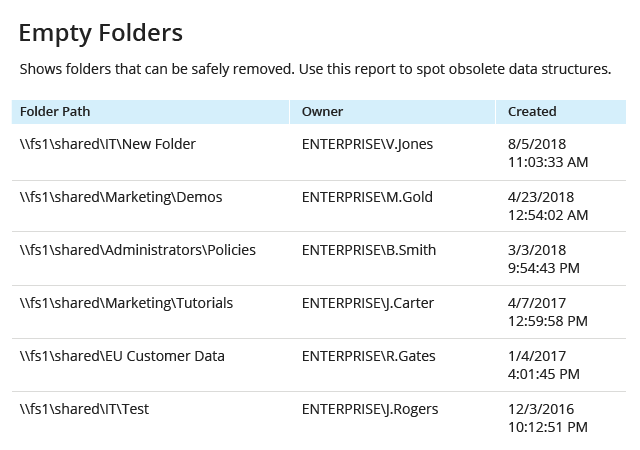 Netwrix Auditor’s file analysis reports deliver information on data ownership, data usage and data volumes, and locate empty folders and stale and duplicate files, so you can optimize space on your file servers and improve your data management processes. Without a bird’s eye view, it’s hard to locate configuration issues across your network. 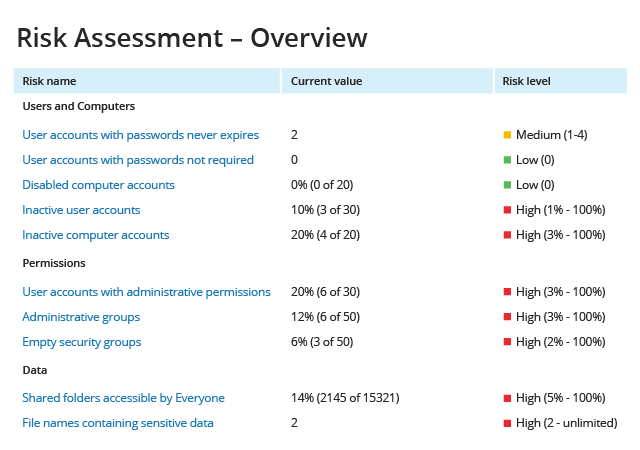 The Risk Assessment dashboard pinpoints the most critical misconfigurations — like potentially harmful files on your file shares, file names containing sensitive data or folders with permissions granted to everyone— so you can remediate these weak spots before they result in data leaks. To protect your sensitive data, you need to constantly monitor suspicious actions around it. For example, when a wave of file encryptions starts, you’ll still have a chance to save some of your data if you notice it promptly. 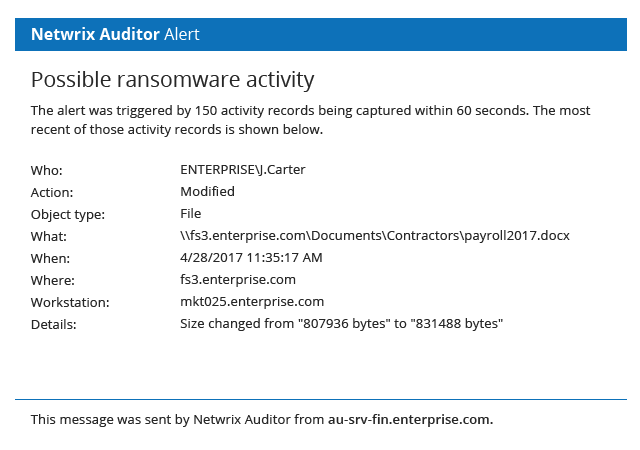 Netwrix Auditor’s threshold-based alerts inform you about critical events, such as when someone is trying to modify way too many files at a time, so you can block a ransomware attack in progress. Regular alerts are helpful for detecting a ransomware attack or mass data removal, but what if a threat is more advanced than that? 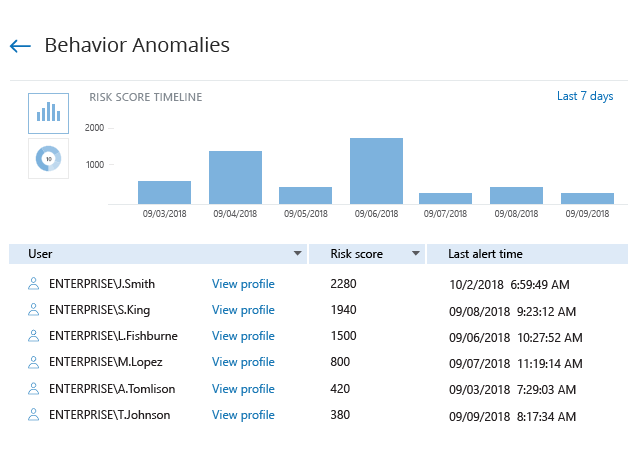 Netwrix Auditor provides a single view of all anomalous activity alerts triggered by an individual across all audited systems and the cumulative risk score so you can spot malicious insiders and compromised accounts — even if they tread carefully. To strengthen the security of your sensitive data, it’s critical to know about even subtle signs of account compromise, such as suspicious surges in data access or activity outside business hours. 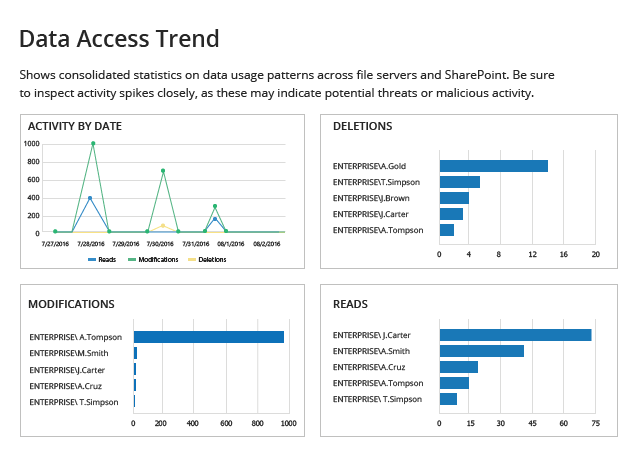 With reports on user behavior and blind spot analysis, you can quickly identify these subtle indicators of threats and remediate them before it’s too late. 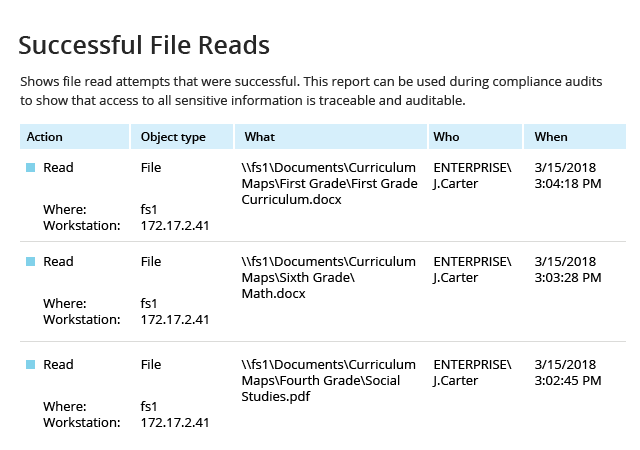 Whenever you need to track what steps led to a security incident, Netwrix Auditor’s Interactive Search saves you from having to dig this information out of native file server audit logs. Using Interactive Search, you can quickly get answers, such as who deleted the file, who gave excessive permissions to that user and what else the user did on your file servers. 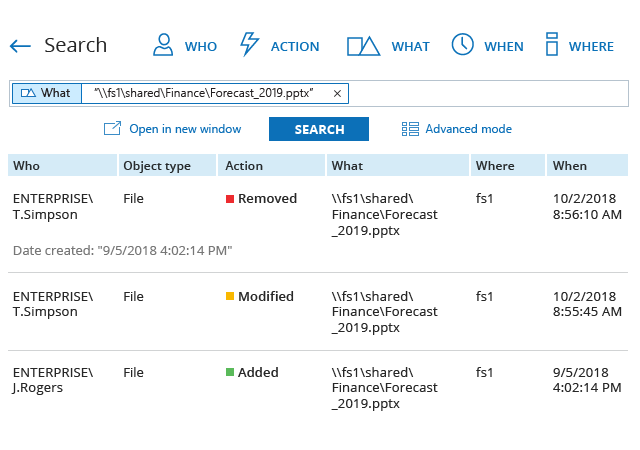 Plus, you can create custom reports and alerts based on your search criteria to stay aware of similar incidents in the future. 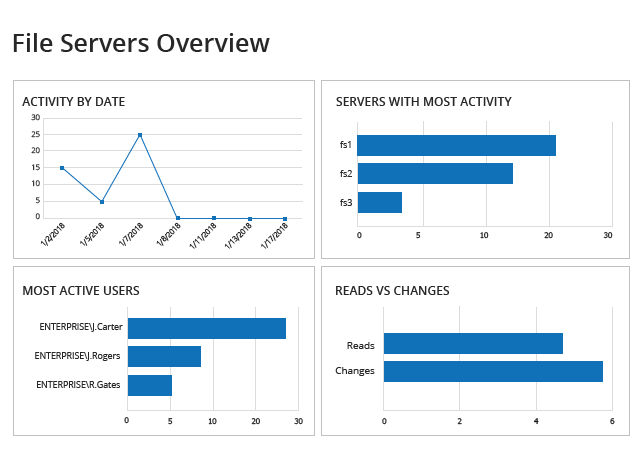 When performing file activity monitoring, it's hard to spot unusual spikes without a high-level view: There’s a chance that you might miss an important piece of information while crawling through the logs and reviewing day-to-day changes. 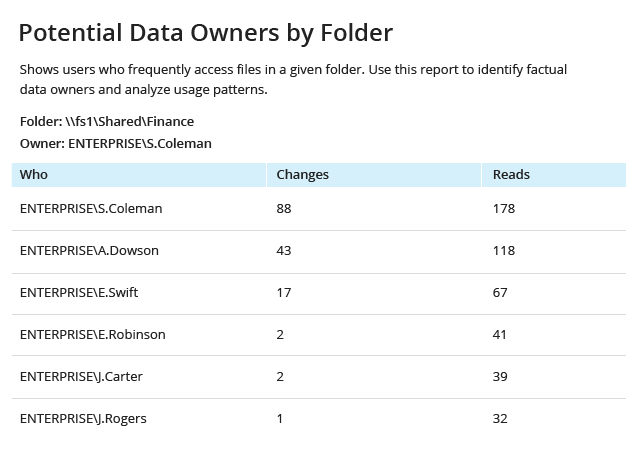 Netwrix Auditor’s overview dashboard makes this task easier by showing activity by date, along with the users who are most active, the file systems that are most frequently changed and the number of reads compared to the number of changes. Unlike many file server monitoring software tools, Netwrix Auditor can help you simplify your reporting routines and demonstrate to auditors that you do everything possible to secure your data. The software provides access to file server compliance reports tailored to PCI DSS, HIPAA, GDPR, SOX, GLBA, FISMA/NIST and other regulatory standards so you can pass audits with far less time and effort. To provide a unified audit trail for the broadest range of file systems and other data sources, Netwrix Auditor enables you to integrate it with any commercial or custom application. Free, pre-built add-ons are available for many common applications, including Nutanix Files and SIEM solutions. Responding manually to common incidents — like blocking a user who generated multiple failed access events — can be time-consuming. Netwrix Auditor file monitoring software enables you to automate response to such incidents by embedding scripts into alerts, which helps you promptly take action while staying focused on more important tasks. Native file server monitoring tools don’t provide an easy way to archive audit data for a long period. 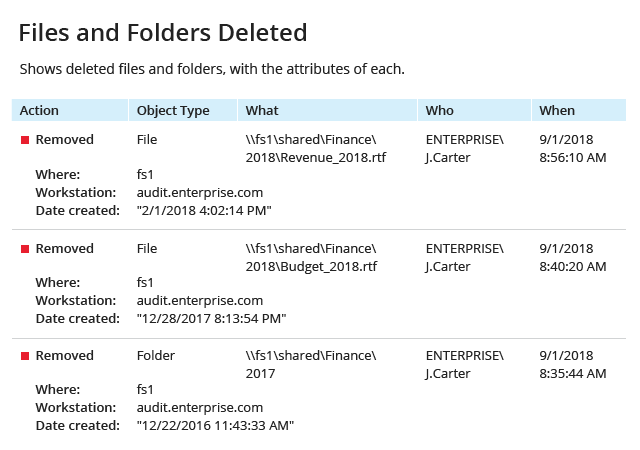 Netwrix Auditor can store your audit trail in a two-tiered (file-based + SQL database), cost-effective storage for more than 10 years, while enabling quick access to archived data for historic reviews and inquiries. To keep the file server monitoring process secure, it’s important that your file server monitoring software lets you granularly assign access rights to its settings and collected audit data. 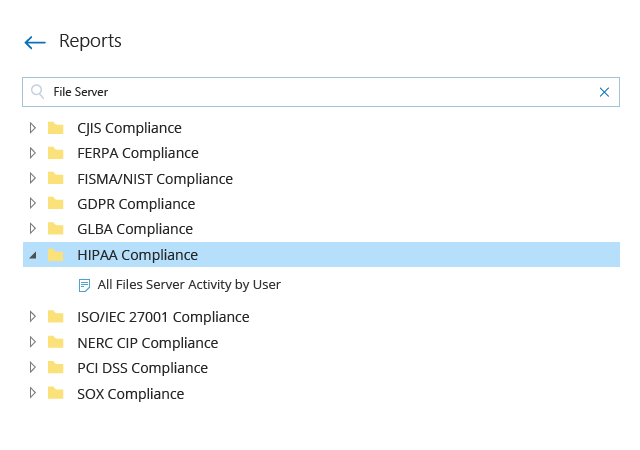 Using Netwrix Auditor, you can control access granted to each IT administration and business team and make sure that it’s in accordance with the least-privilege principle. Learn how Netwrix Auditor for Windows File Servers can help you detect data security threats, prove compliance and increase the productivity of your IT team. 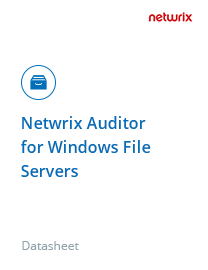 Get a complete list of features of Netwrix Auditor for Windows File Server in a format convenient for comparing the product to your requirements.